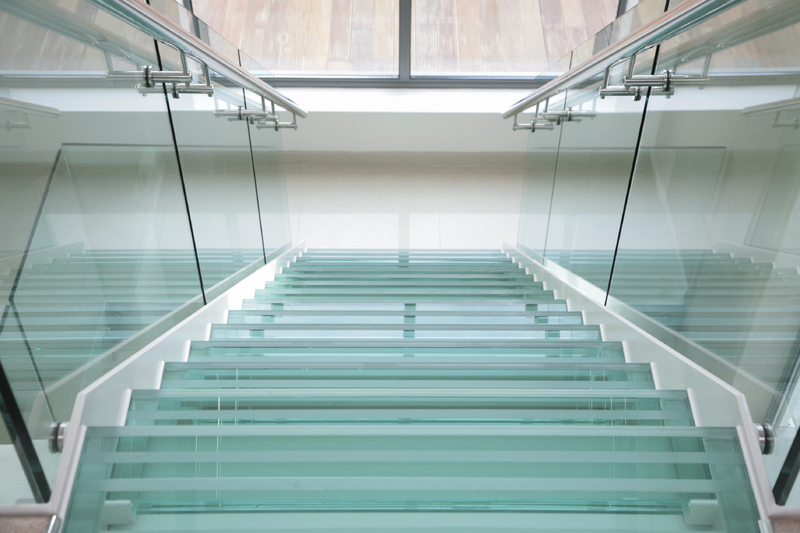 Glass railing company, glass stairs, glass deck, glass balcony. Vancouver bc. 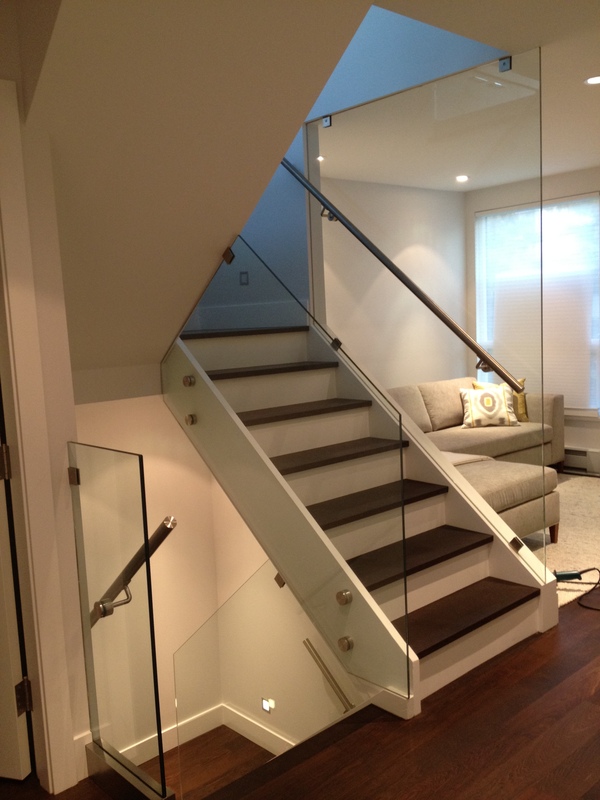 A Vancouver based glass railing company specializing in custom glass railing systems. 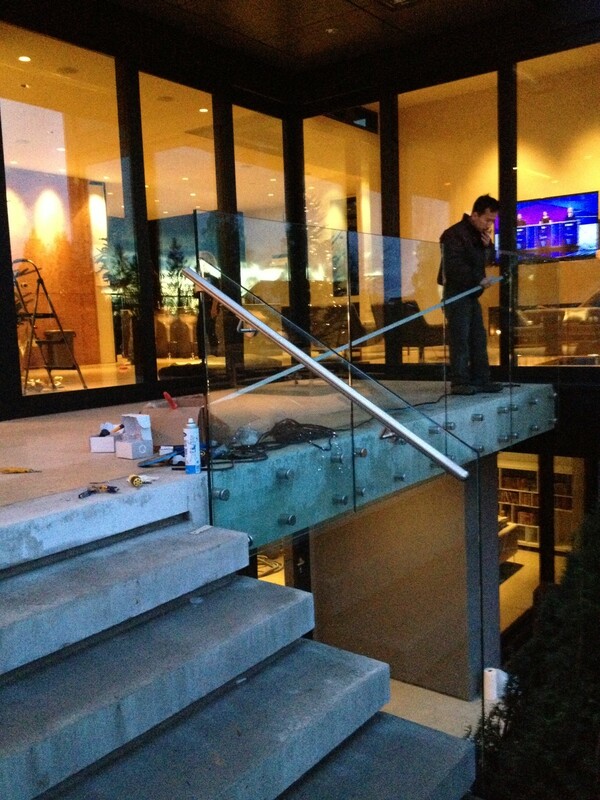 Our services includes repair, replacement, and new installation for all types of glass railing systems large or small. We service and install glass railing systems such as, frameless glass railing system, button glass railing systems, stair glass, stair glass systems, deck glass railing, balcony glass railing, thick glass railing systems, posts glass railing systems, tempered glass railing, safety glass railing. If you have a broken railing glass panel. We have all sorts of single pane safety glass panels in stock to quickly replace your single pane glass railing. If it is a thick custom laminated glass panel or tempered glass panel that has holes in them, then we will come onsite to take the exact glass measurements then have the glass panel manufactured for installation. 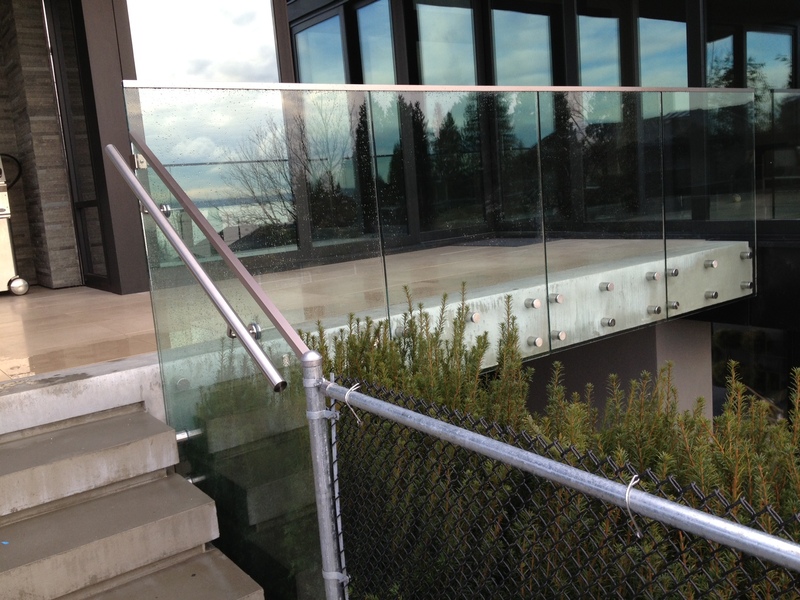 If it is a new glass railing systems installation requests that you have, we can do it all. 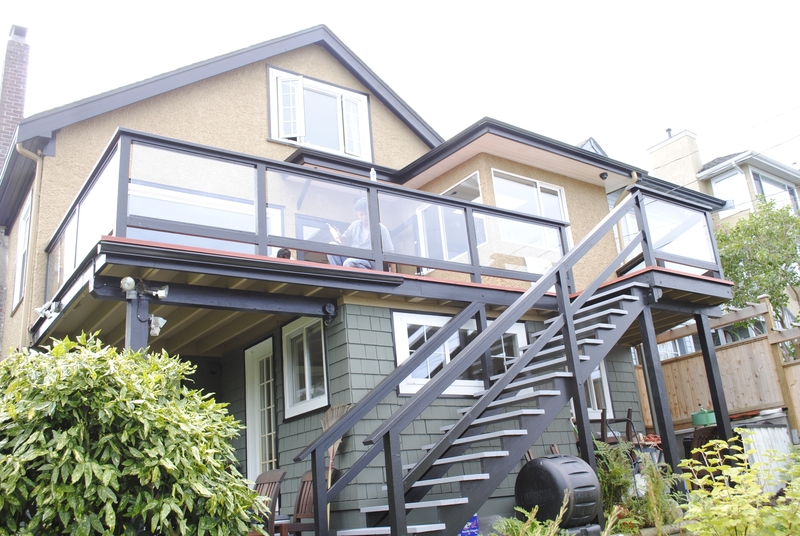 We can install one small glass railing with all require posts and hardware or we can install an entire building or home with brand new architectural glass railing systems. 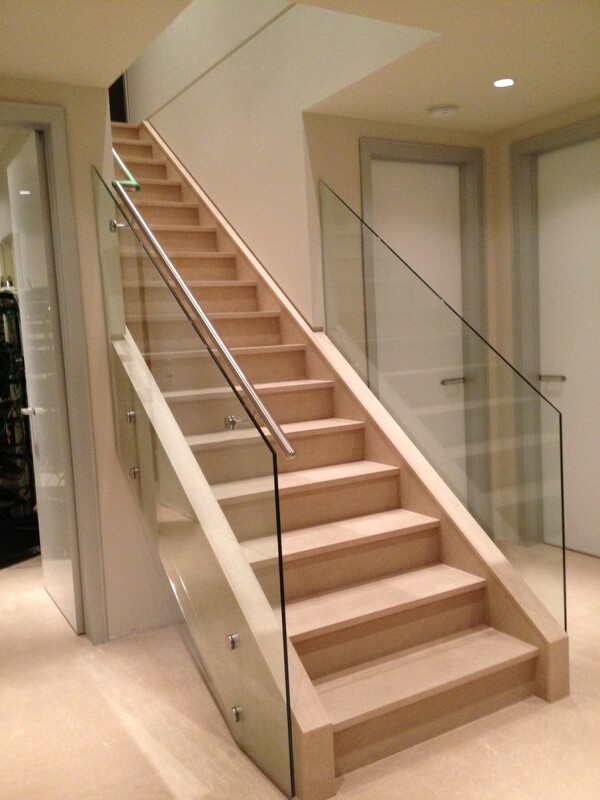 The glass railing systems will be custom built to fit your openings large or small. 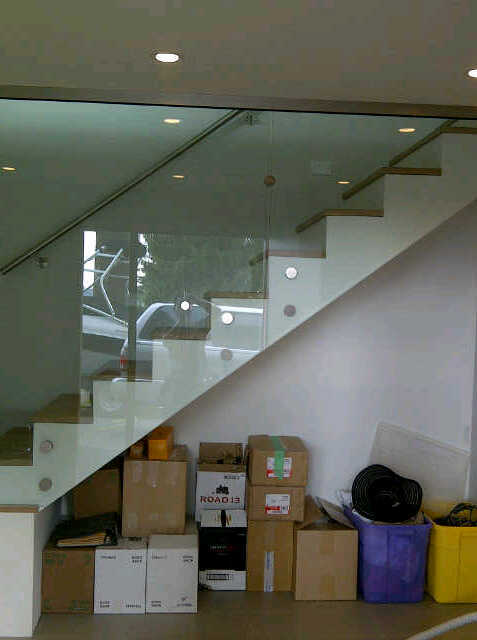 So whatever your glass railing problems or requirements you have we can help. Our experienced technicians and fully equip vehicles are able to efficiently repair, replace or install brand new glass railing systems for your commercial buildings, offices, residential homes, apartments, town house, condo. Please refer to our example pictures below for more details.